Are you struggling with how to maximise time management? Is organising your time a real issue for you? For example, juggling the school run, a work schedule, giving the house a spring clean and still ensuring that your self-care is maintained, all a bit too much to handle? Well fear no more, today we are discussing how to use a bullet journal system to absolutely utilise every minute of the day. “Nobody is too busy, it’s just a matter of priorities” – Unknown. Mastering effective time management is a hard skill to learn. It is ongoing and something to be constantly working on; however, once you’ll found a good, useful and motivating method, it all sort of just falls into place. 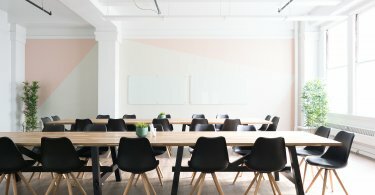 What is effective time management? In my opinion, effective time management is when you successfully plan and then carry out a series of tasks/events with absolute control over how long they might take you. It’s about working smarter, optimising your productivity outcomes and being able to divide up your time into sizable, realistic chunks. Although let’s be honest here, life doesn’t always go as planned. The world does not function like clockworks. It’s a bumpy ride which likes to throw in a few curveballs from time-to-time. However, there is no harm in trying to get your life organised and running on-time, excuse the pun! 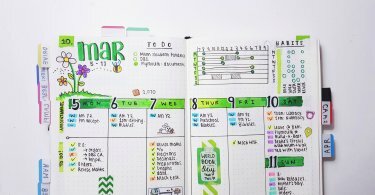 How will a Bullet Journal help me improve my time management skills? In a bullet journal, you can track all tasks; you can also monitor the time in which they take you to complete/attend to them. Below are a couple photographs of my personal journal; I track my work schedule, my driving lessons, any revision time I need as well as blog-related tasks. As I have previously discussed on my blog, I use a colour coding system to help me to maximise time management. Through allocating all tasks, events, appointments and important to-do lists’ a certain colour, I can view my whole week at a glance and the time that I have attached to those entries. Orange – important or more immediate tasks/deadlines. Teal – everything related to my Etsy sticker shop, PlanningWithC. Pink – all things blog: ideas, to-dos and publishing schedules. Blue – my Teaching Assistant job rota. Purple – memories including events, birthdays or things that I like noted. Green – Camp America related details (this changes frequently – it’s a flexible colour code). Red – University related entries (this is new to my colour coding system). In the week above, I utilised my colour coding system alongside a weekly grid layout to track and maximise time management; across the horizontal axis are the days of the week, along the vertical axis is the hours in my ‘working’ day. I work flexible and varying hours from week-to-week and therefore need this graph in my bullet journal to wisely allocate my time outside of my job. This system also helps me to review how I actually spend my week; whether it be: working on certain tasks or towards my goals. If there is a blank space, then I know that I have that as ‘spare’ or ‘free’ time to do as I please or fill it in as new projects as they arise. Alternatively, there is a less-colourful layout below. Compared to the one above, this has very little colour and only the most important events/appointments noted (e.g. work, revision, exams and my Etsy shop task list). If making time management inspired grids is not your thing, then I also recommend simply adopting the colour coding system. This can be made entirely to fit your lifestyle and using as many colours as you personally require. 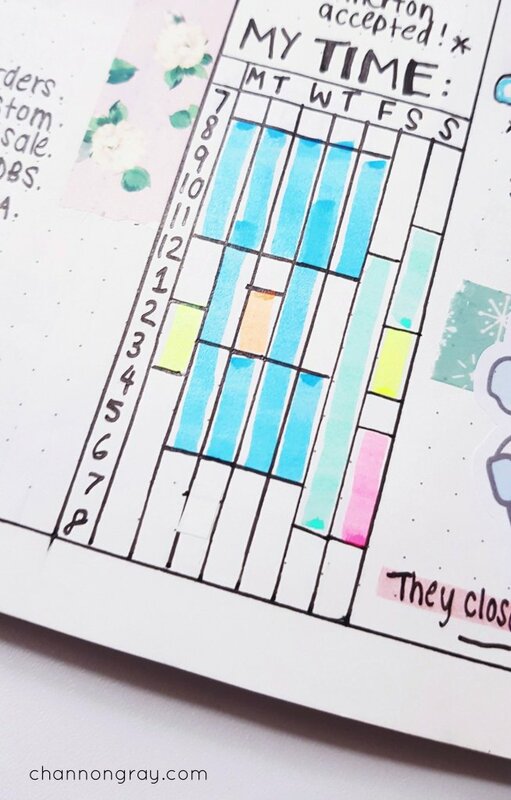 Throughout my bullet journal, every-single task and entry have a colour next to it – this allows me to view the important from the not so, the memories from the random to-do lists, as well as deadlines, work hours and travel schedules; the list is endless! 5 top tips on how to maximise time management and achieve success! Being organised, planning ahead and knowing what is coming up in the days/weeks/months to come is my top tip for mastering time management. Goal setting and remaining focused. 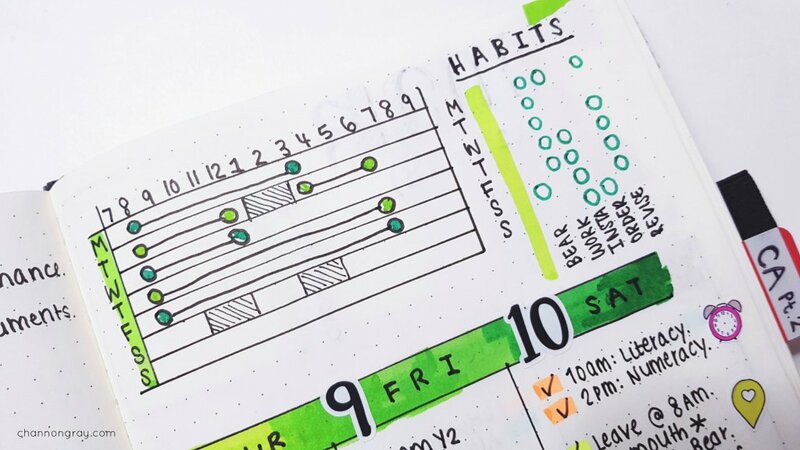 I discussed in a recent blog post how you can use your bullet journal to track your goals. By setting goals, you are then more focused on what you’d like to achieve in the nearby, or long-term, future; therefore, building on how to maximise time management skills. Prioritising certain tasks over others is crucial to time management success. Let’s face it, whether or not you are a one-man-band, like me, you simply cannot do EVERYTHING! Although, it is worth noting that it’s easy to jot down all to-do’s that need to be accomplished. However, you must ensure that all that which is listed is relevant to your day’s goals. On the other hand, you might have a lot of good, high priority ideas; but try not to get too caught up in all of them. I’d recommend that you focus on one thing at a time because otherwise, the skill of prioritisation could rapidly turn into time-wasting. Now I know that ‘stressing less’ is a tall ask for some. However, it is important that you utilise all of the above information to get on top of your time management skills; this, in turn, will reduce your stress levels and therefore help to improve productivity. It’s an endless loop! Make decisions and stick with them. If you make a decision and stick to it, the chances are your time management plan will just fall into place. I am a very indecisive person; despite this being a skill that I work on daily – I honestly cannot help it sometimes. By having my tasks and decisions committed in my mind, and/or on paper, I feel compelled to get them done and dusted. I hope this has helped you to maximise time management in your life. If you have any more questions, you may get in contact with me here. Don’t forget to leave a comment below to offer your own insights into achieving time management success! This is such an inspiring post to start a Bullet Journal!! I might HAVE to get into it this week!! Please do and keep me updated on Twitter! I’d love to encourage and inspire you into trying – it will suit all of your every day and blogging needs, trust me! You make it all look so easy! I’d need a heck of a lot of time to set it up and that’s what I don’t have! I know it might feel like that. I guess I just really enjoy it and so put in 110% effort to make it look pretty. It doesn’t have to be this way – personal preference, I guess! I’ve always been a miles ahead planner looking 3 weeks forward at 4pm when I will have to submit whatever it is haha. I’ve found for more NOT putting every teeny little task in my bullet journal and planners is actually more helpful to me than planning out every single step of the day. I’ve noticed that some people will spend more time writing in the bullet journal than actually completing tasks, at which point I ask whether or not it achieves it’s goal. I love a good bullet journal post! May have to add some time management pages to my bullet journal! Excellent ideas! 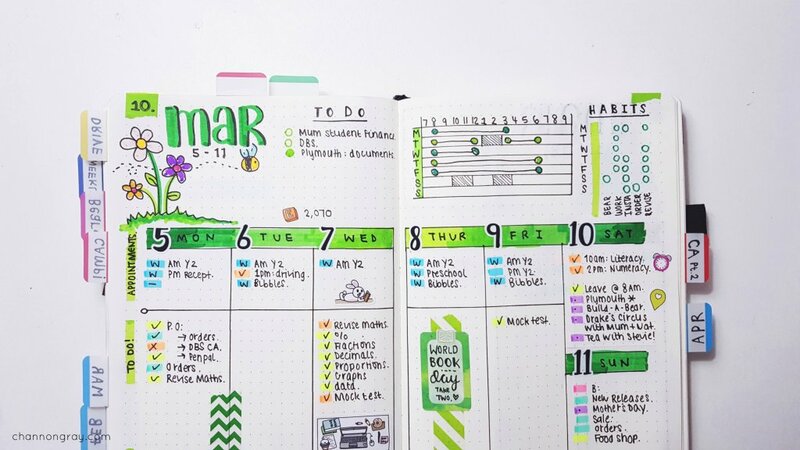 I hadn’t thought of using bullet journaling in this way. I’m almost tempted to give it another try! Please do give it another go! It’s just working at it to find something that works for you! Love these ideas! I started using a bullet journal about 6 months ago but I haven’t managed to make mine look so colourful and beautiful! Aw thank you Louise! It doesn’t matter, as long as it suits you – that is what counts! Sounds good to me Shirley! I’ll check it out! That’s crazy. I’ll go over and check it out tomorrow! Love this ! I’m a sucker for organization! Definately taking some tips ? Thank you so much! Me too – I can’t resist anything organisation related!